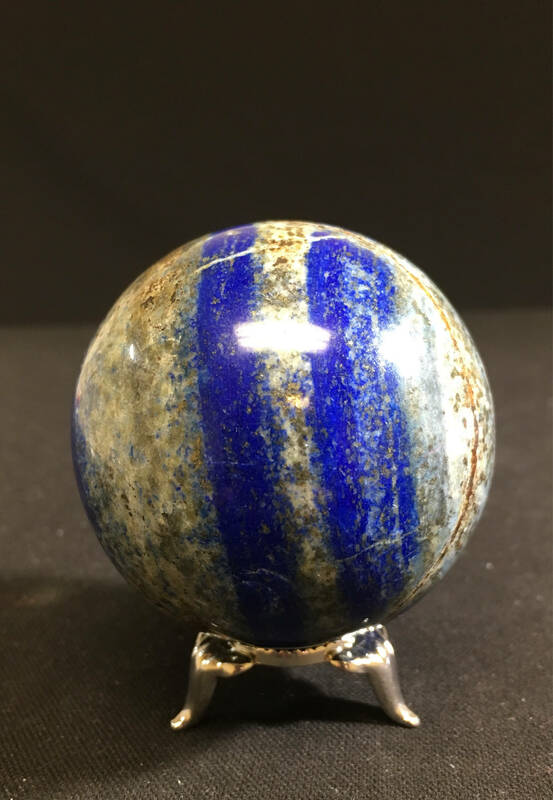 This sphere is a beautiful, deep blue with gorgeous golden banding. It is approximately 2.5 inches in diameter. This sphere would be great for display, on an altar or to hold for meditation. Lapis is great for stimulating wisdom and good judgment in the practical world. It will help with intellectual analysis and problem solving. Lapis is a useful stone for activating the higher mind and promoting intellectual ability. It increases your desire for knowledge, truth and understanding. Lapis can aid the process of learning. Known as a stone of truth, Lapis encourages honesty of the spirit.